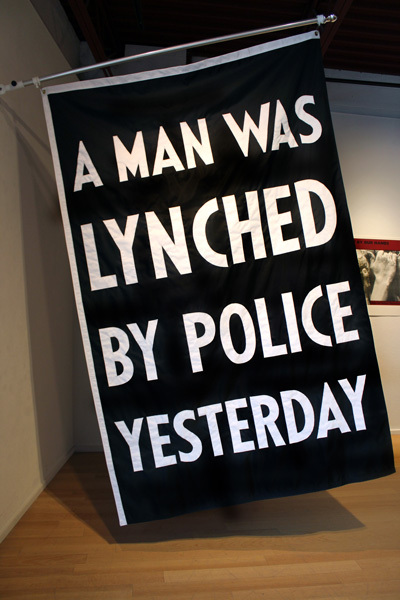 Following the police shooting of Walter Scott in South Carolina, New York's Jack Shainman Gallery added a flag which read: ''A Man Was Lynched By Police Yesterday'' as part of their ''For Freedoms'' exhibition. The flag is in homage to the 1936 flag that hung outside the New York City headquarters of the National Association for the Advancement of Colored People (NAACP). 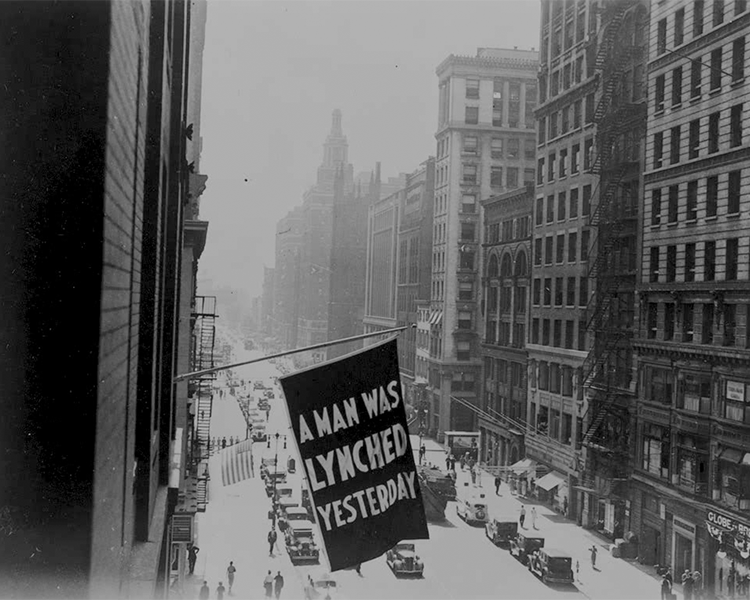 The original ''A Man Was Lynched Yesterday'' flag was flown outside the window of the headquarters of the NAACP on 69 Fifth Avenue in New York in 1936, where it stood until 1938.